It took me a long time to admit that there were things I was not going to be great at in my business. In fact, there are things that I’m absolutely CRAP at. For a while, I was in denial. The biggest challenge? Photos. I didn’t have the time to learn or spend on taking photos for every blog post, website page.. and don’t even get me started on Instagram. While hustling at that 9-5, who has time to be constantly posting new, original photos on Instagram and Facebook? Flatlays, lighting, props? Way too much work for me at that point. I had seen stock photos but the image in my head was of cheesy backgrounds and too-smiley actors – not the kind of look I wanted for my business. I had no idea that styled stock photos were a real thing – photos that suited my type of business and could save me so much time and effort. But once I found them, I was hooked. They helped to make my business look SO professional and I didn’t have to spend huge chunks of my time taking them myself. Life saver. I now have the time to take great photos and to learn how to get better and better but I’ll admit – I sometimes still use stock photos. I think they’re a great alternative if you’re not a strong photographer or simply think you could better spend your time elsewhere in your business. 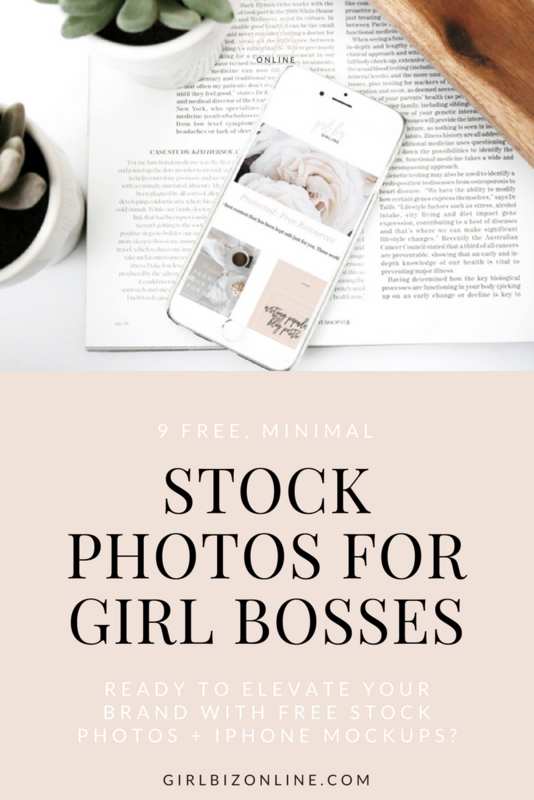 So I made you some free minimal stock photos! 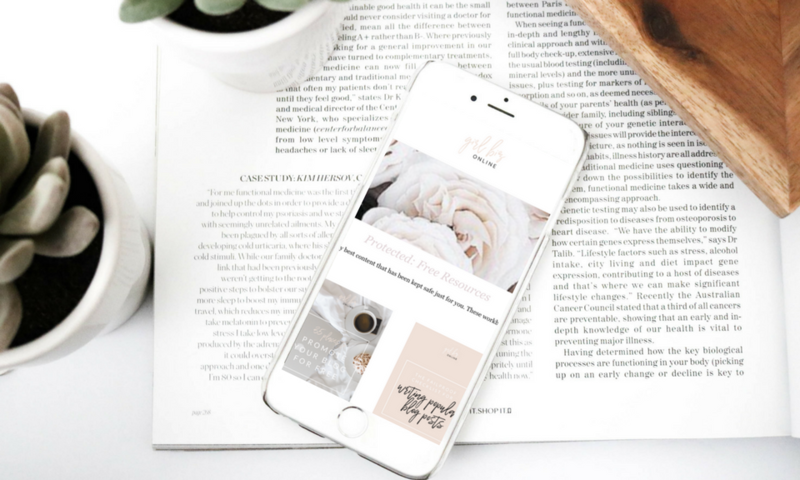 I even included some iPhone mockups so you can put your blog or website there. Don’t forget that you can also customize these images to make them your own! For Instagram, I love VSCO cam for editing on my phone. If you want to use them on your website and do a little desktop editing, I recommend Canva. It’s totally free and this is NOT an affiliate link – I just love it a lot and use it myself almost every day. All of my graphics and branding? Made by yours truly in Canva! Pop the photos in there and you can make them entirely your own. 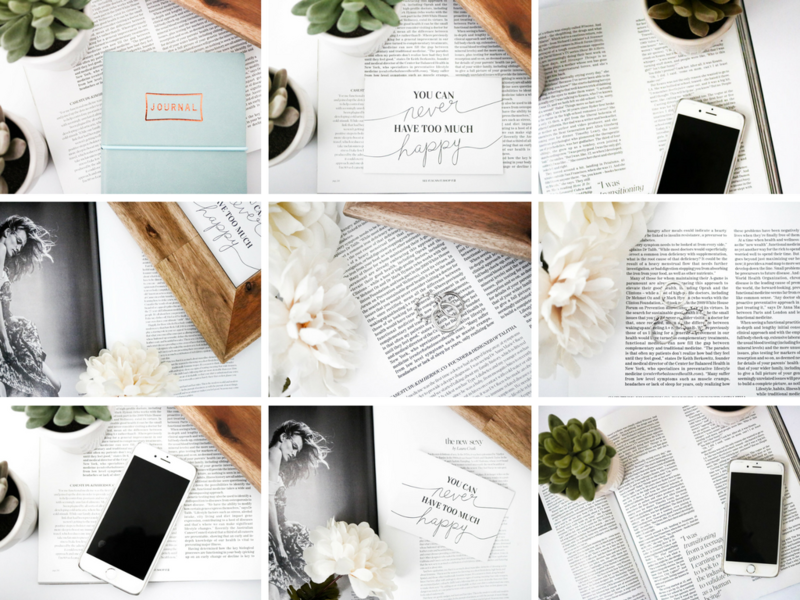 You can use Canva to edit the iPhone mockups too, like this one above! I made a little video tutorial on how I add my own image. And that’s how easy it is. Just drag and drop a few elements and you have a really beautiful, really customized image to use for your blog posts, advertisements, or website! This is why stock photos are so awesome – they can take your branding to a whole new level. 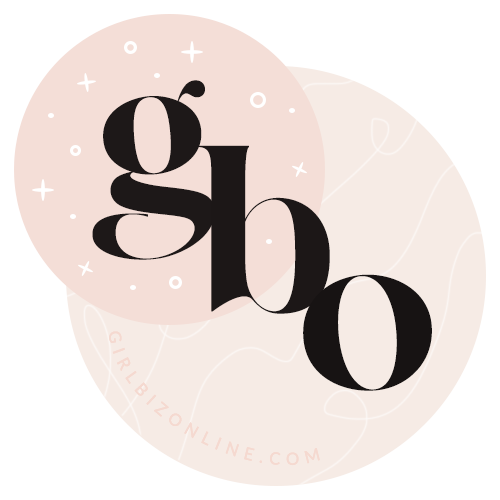 If you’re not a member of the #GirlBizGang already, grab the password to the Free Library below. You’ll find all of the photos there to download!